These great sets and many more can be picked up from Multiverse Gaming Terrain :). 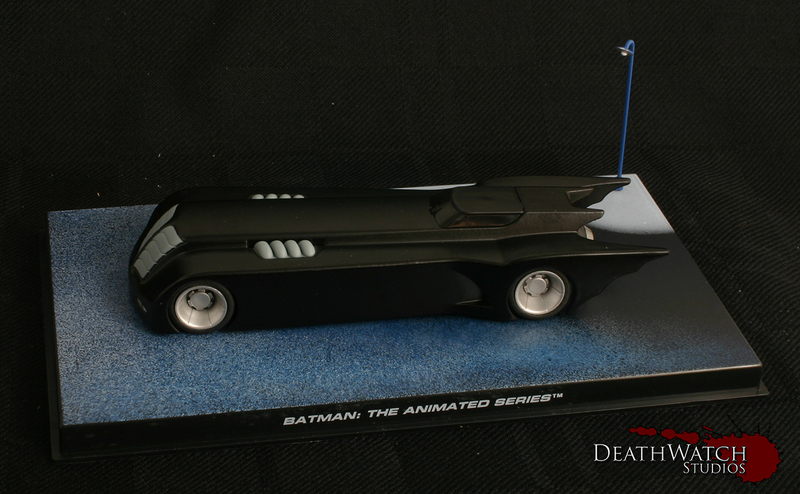 I picked this bad boy up on ebay, but it is from a range of die-cast Batman vehicles from Eaglemoss. They have a fantastic selection, but I had to go for the Animated Series version as I have loved it since I was young and enthralled by the series. Next up was some more scatter and buildings, this time coming in from Counter Attack Bases, who you may remember I got a good amount of tokens for the game from. The Railed Fences/Barriers are nice, simple and cheap making a great addition to the board.